We have left no stone unturned in our quest to reach the best and brightest minds from across the American business spectrum to gather their thoughts and perspectives on the state of our industry – and what’s in store for the coming year. Each leader we’ve interviewed is uniquely positioned to provide a clear-eyed view of the business of retail, whether it be brick-and-motor, online, or a combination of the two. Their insights are both dramatic and edifying. The integration of the Internet into our business and daily lives is responsible for much of the story of the revolutionary changes that have taken place since 1990. The rapid-fire growth of online retailing, social and mobile media has been head-spinning. That said, in the world of storefront retail there have also been massive technological improvements that have had an equally large impact on us all. From cash register and checkout technology, to security, barcoding and scanning, to CRM tracking of your customers and their habits, and much more, the daily functions of running a store have evolved greatly – yet in many essential, human ways, have remained quite the same. According to the US Bureau of Labor and Statistics, in 1990 the largest employer of workers was the manufacturing industry, with retail a close second. As the world changed and time marched on, the Baby Boomer generation aged and the Health and Human Services industry climbed into the top spot. Despite the ups and downs over time, however, retail remains a vitally strong and vibrant sector of the American economic powerhouse, and continues to drive creation of new jobs. Michael Niemira, former director of research for the International Council of Shopping Centers and founder of economic forecasting firm The Retail Economist, has estimated that about 821,000 workers will be hired for retail seasonal jobs in the 2014 – 2015 season, up 11 percent from a year ago and the highest since seasonal hire record-keeping began – which, incidentally, was also 1990. This is great news, and a strong indicator of the endurance of our beloved world of retail. But, what of the future? What forces are at work now that will rise to the surface to drive changes for us? In looking at the history of retail and the current groundswells of the digital and mobile age, what can retailers expect in 2015? To answer these questions we put together an all-star panel of experts from across multiple fields, including media, government, sports and, first and foremost, retail. From visionaries such as Newt Gingrich, former Speaker of the House, to the NFL Players Association and many more, we posed the same questions, and the responses we received are sagacious and revealing. In addition to the intriguing insights, we were able to spot several very clear trends that were common to all our panelists. We are certain you will relish reading through these enlightening observations and drawing your own conclusions. Enjoy the 2015 Retail Outlook, and enjoy our 25th anniversary issue. Independent Retailer is here to serve your needs now and into the future, and, as always, to keep you informed on what is happening in the endlessly fascinating business of retail. 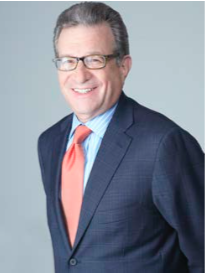 Les Berglass, Chairman and Chief Executive Officer of Berglass+Associates, started his company as an executive search firm focused on the wholesale side of the fashion business. As the years progressed he revamped his business into a search firm in the retail industry specializing in both online and brink and mortar retailers. To survive and thrive as a small and passionate retailer, you should bring newness to your store, as often as possible—by continuously surprising and delighting your customers you’ll keep them coming back for more. While an independent retailer may not be able to build websites as costly as their larger counterparts, there is still significant opportunity and need to communicate with consumers digitally. Take time each day to email your best customers. It’s more effective to send 25 highly focused emails to your best customers than 1,000 emails that look and feel like a mass mailing. Finally, get creative with VIP offerings and how you promote them. Independent retailers can compete in the long term, but you can’t rely on price as your sole differentiator. Be careful not to position yourself as a small “craft-like” company—unless you’re after craft consumers. Don’t be just another online retailer. Be a brand. Remember, the vast majority of highly successful websites are actually small companies, just like you. To attract new business for online and brick-and-mortar, the rules are the same for both. Add product innovation. Focus on hiring and paying for the best talent, and do everything you can to keep them. And make customer engagement the top priority for every employee. In the US, 2015 can be a banner year. As recruiters of management talent, we think our industry is a leading indicator of the broader business landscape. Companies add talent when they feel good about the future. Our executive search firm is entering 2015 with more work than we’ve ever had at the beginning of a new year. However, business won’t be good for everyone. There will be clear winners and losers. Those companies that are willing to change to match the times will win. Those who don’t will become victims of their own history.